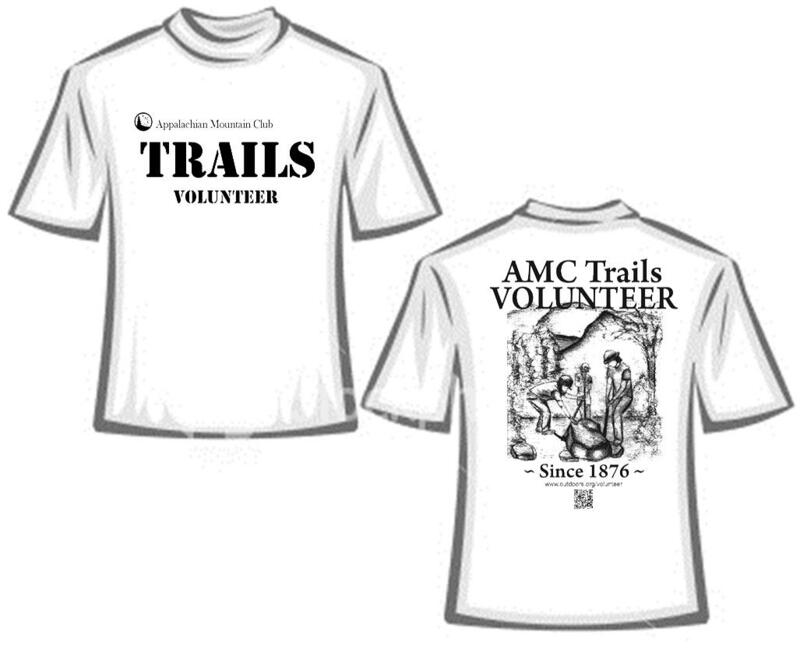 Special thanks to Sara Hart, the winner of the 2012 AMC Trails Volunteer T-Shirt Contest! Sara is an AMC member of the New York/North Jersey Chapter and is an active volunteer. In addition to her volunteer efforts in her home Chapter, Sara has participated in Cardigan Trail Work Weekends and week-long Adult Volunteer Vacations in Acadia National Park. Like the T-shirt? Wonder how you can get one? 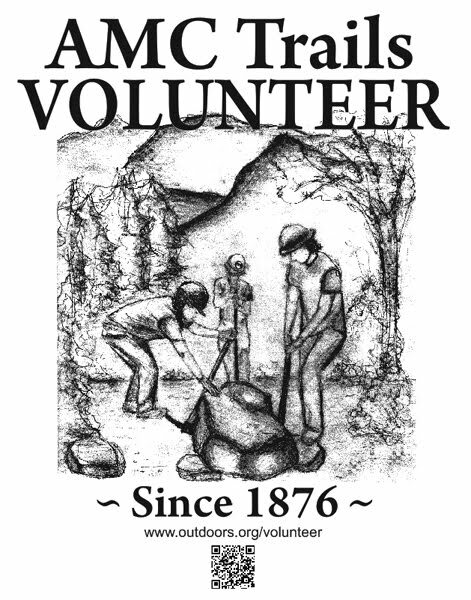 You need to become an AMC Trails Volunteer. Adopt a Trail, sign up for one of our Teen Trail Crews or Adult Volunteer Vacations, or join in on a weekend work party at Cardigan Lodge, NH or Mohican Outdoor Center, NJ. This winning design will be printed on over 2,000 shirts. This year's color: "Stone Washed Green" shirt, printed with black ink. 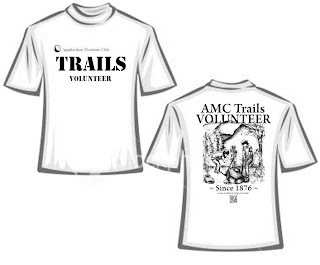 Check out www.outdoors.org/volunteer and become an AMC Trails Volunteer!